The move appears to acknowledge that YouTube's brand-safety measures throttled revenue sources for many YouTube creators, who turned to Patreon and TeeSpring for alternate streams. YouTube seems to want a slice of the Patreon, Twitch and Teespring business model. Neal Mohan, chief product officer for YouTube, said at Vidcon this week that the platform would offer creators the ability to monetise subscribers through memberships and merchandising. Channels with at least 100,000 subscribers will be able to enable a "Join" option for fans, enabling a $4.99 (£3.76) monthly fee and offering emojis, badges, bonus videos, shoutouts, and live streams in return. This part of the new offer seeks to take on Amazon-owned streaming service Twitch and independently-owned Patreon. Channels with at least 10,000 subscribers will be able to partner with YouTube and Teespring to develop 20 custom merchandise products, including shirts, mugs, and phone cases. This part of the new offer seeks to take on Awesome Merchandise and Merchly, two platforms that independent creators currently rely on. 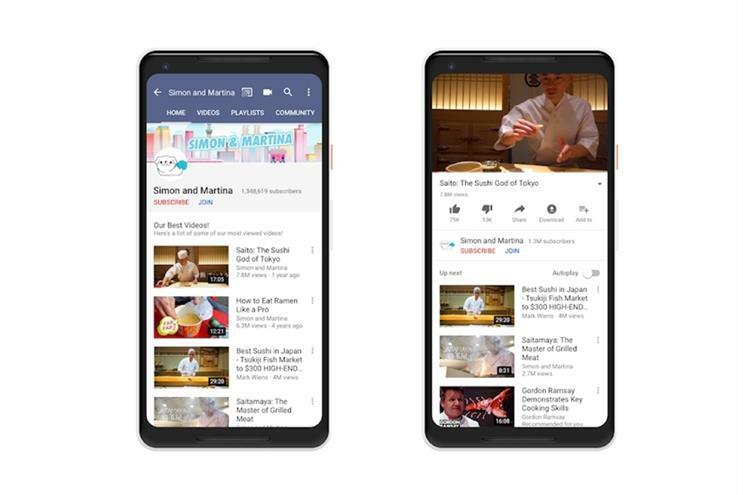 Given the low barriers to entry in approaching customer merchandise producers directly, it is unclear how creators would benefit from going through YouTube. Similar to Patreon, YouTube announced a new product called Premieres which will allow creators to live stream pre-recorded videos and chat with live viewers as it runs, opening room to convert memberships in real time. "We’ll continue investing here, but we also want to think beyond ads," Mohan said. "Creators should have as many ways and opportunities to make money as possible." YouTube's moves appear to acknowledge that recent actions the video platform took in an effort to address brand-safety concerns ended up negatively impacting revenue for many of its creators. As a result, a significant number of YouTube creators turned to Patreon for donations, as well as TeeSpring (and similar sites) to support themselves from merchandising. As documented extensively on YouTube by creators such as Philip DeFranco, Casey Neistat, Dave Rubin, and Jordan Peterson, concerns over the loss of monetisation seemed to fall on deaf ears for YouTube. The problem was exacerbated by how YouTube treated Logan Paul in the aftermath of the creator's infamous suicide forest video, with the platform failing to remove monetisation from the creator and inviting him back into its preferred partner programme after a short leave of absence.